Back in the days even members of the Royal families where interested in American made iron. 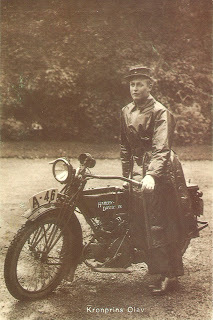 Norways previous king HMK Olav with his "baby" Harley opposite twin. 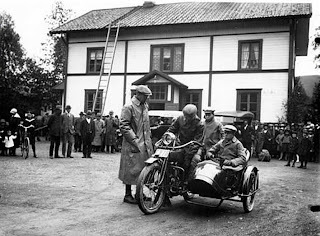 Swedish princes Gustav Adolf (later to become king) and prince Sigvard taking part in a trial run. They use a sidecar rigged Indian.